Initial consultation to select a gown from our collection or to discuss a custom design. The goal of our consultation is to discuss the vision for your dress. As we get to know one another, we’ll chat details: your event, design, fabric preferences, color and fit. We’ll also go through fabric swatches. It’s good to know your ideal budget range, so we can direct you towards appropriate designs and fabric choices. Dress prices are based on time and materials. If you are having a Cleo + Clementine gown made with custom modifications and fit add 20% to the listed gown price (refer to our online shop for base prices). Consultation fee will be applied towards your project balance. Out of State? Out of the US? Not a problem! Just schedule a Skype/FaceTime consultation with us. The goal of our consultation is to discuss the vision for your dress. As we get to know one another, we’ll chat details: your event, design, fabric preferences, color and fit. We’ll also send swatches out your way. We have developed a process to work with our customers out of state or over seas. Whether you are local, or far away, we still work with you one-on-one. We would love to get to know you and “meet” you in person. 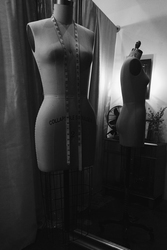 After our meeting we’ll create and ship a muslin for you to try on at home. At this time we’ll arrange another skype/facetime fit meeting to go over necessary adjustments to refine the fit. You’ll need a friend to assist you during this process. Future meetings are part of the custom process and are included in your quote. This option is for current clients. Muslin is a basic cotton woven fabric that we use for “trial runs” on bespoke items. 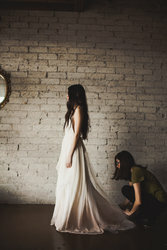 During a muslin fitting, the client will try on a fitting shell which we will use to work out the proportions, the shoulders, the lengths, etc. When perfected, the fitted muslin will be used as the base for the first sample. This option is for current clients. After a muslin has been tested, it is time to see your dress come to life. Please book here once your dressmaker gives you the ok to schedule a fitting. We make all types of veils in our studio. Do you have a tinted or antique gown and need a color match? 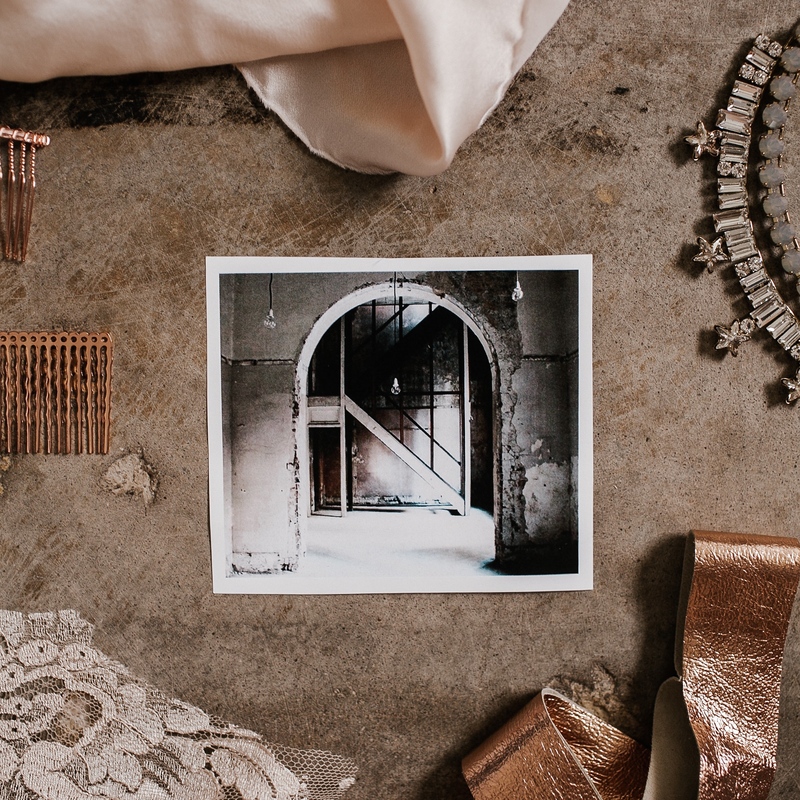 We’ll blend colors in our studio to create the shade you need to top off your bridal style. If you need help finding the right style we can do that too! Bring your gown with you to our appointment! Silk tulle, bridal illusion tulle, silk gauze, birdcage, lace-trimmed, stoned, ombre dipped, dégradé. So many fun options to explore! Your consultation fee will be applied towards your order balance. Standard veils typically run under 280.00 which includes color treatments. Budget more for add-ons such as lace, stones or metallic flakes.